Hello friends, Today I will tell you a method on how to delete Paytm account permanently. Users can remove their account from Paytm completely. I will suggest you to use this method to remove your mobile number and other Paytm account detail. This method will completely wipe out your Paytm account. Bored by using Paytm and want to delete Paytm account permanently? If you are saying yes then you are the perfect place. 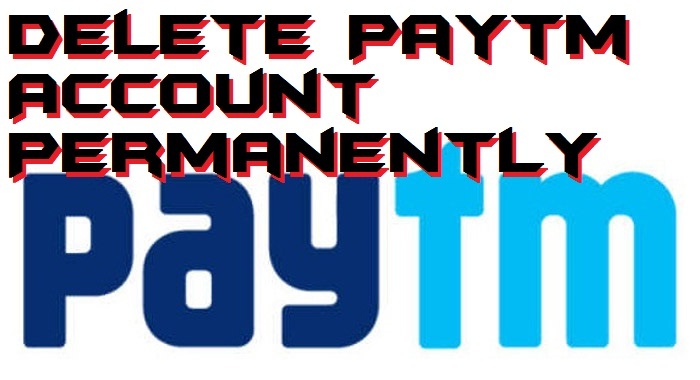 Today I am going to show you a simples way to delete Paytm account permanently. There is no minimum requirement to remove a Paytm account. Even if you have created a paytm account today, then you can delete it right now very quickly. Also, there are no charges to delete Paytm account. Deleting a paytm account is entirely free of cost. Thus, you don’t have to pay anything to anyone to delete a Paytm account. 0.1 Delete or Disable Paytm Account? 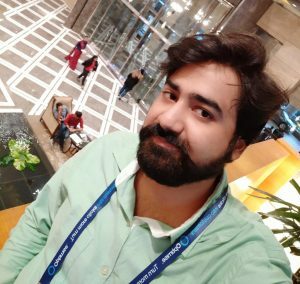 Delete or Disable Paytm Account? Paytm is one of the best and famous recharge provider and e-commerce site in India. Using paytm a user gets full access to recharge its DTH, mobile, bills, and many more things. Even a user can do shopping too using the Paytm app or website. Like all the recharge providers paytm gives the cashback to its users too. Well, it may be possible that you don’t like paytm and don’t want to continue your journey with paytm. Thus, you can quickly delete Paytm account whenever you want. However, deleting your Paytm account will not delete your paytm account permanently because there is no way to delete a paytm account permanently. When you delete Paytm account then, it will be disabled so that you will no longer be a user of paytm. If you want to delete Paytm account, then you can use this method which I am going to tell you. This is the official way to delete Paytm account. Well, as I told earlier you cant delete your paytm account instead of that you can disable your paytm account only. There is no such way to delete Paytm account permanently. You can say that paytm does not offer permanent account deletion service to its user. So, using this method, you are going to disable your Paytm account. If you are ready to do so, then let’s head up to the method and do it. Open the Paytm App on your phone. Now, go to 24×7 Help option. Then, go to Managing my Paytm Account. Now, click on I need to close/delete my account. 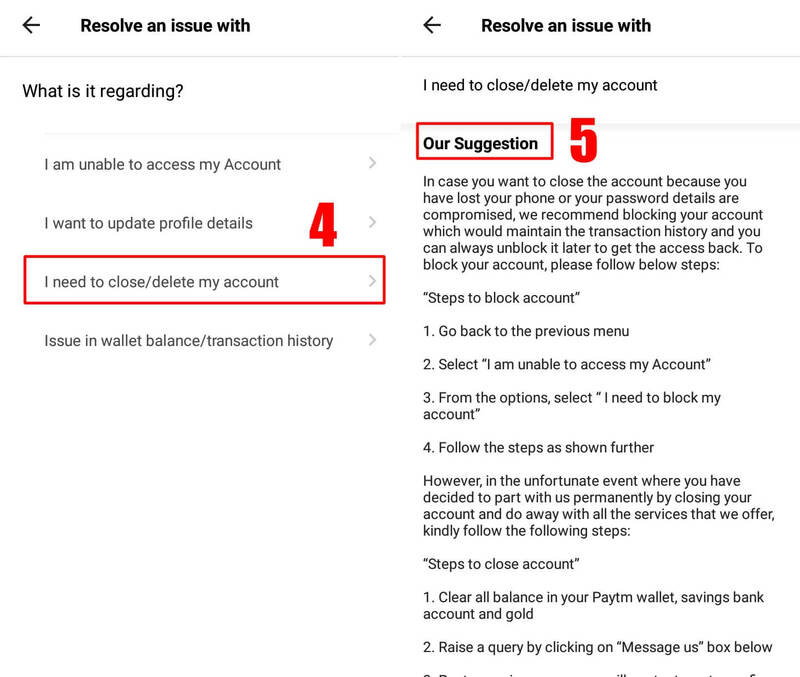 Follow the on-screen suggestions by paytm and delete Paytm account. In this manner, you can delete Paytm account, or I should say you can disable Paytm account. 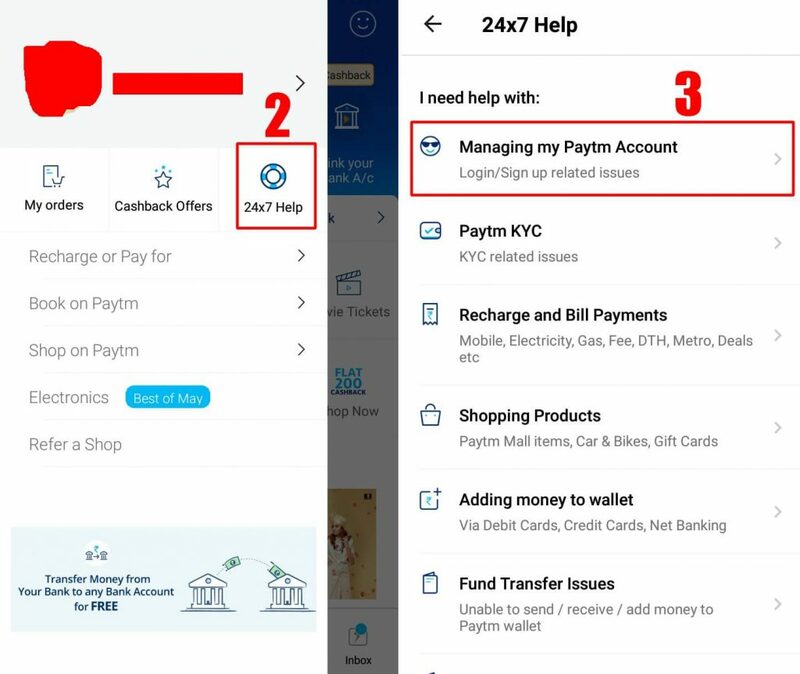 The method which I have shared with you guys is the official way to remove a Paytm account. However, this will not delete your account permanently but, it will disable your paytm account so that you are paytm will not be connected to each other. Well, if you don’t want to disable your Paytm account, then you can let it be and uninstall the app from your phone. I hope using this guide you have now learned that how you can delete Paytm account. Share this article and tell your friends and help them to remove Paytm account permanently.